SC02 - Fly-In: Selous Game Reserve - Kanuth Adventure Safaris, Tanzania Ltd.
After early morning breakfast, take the morning flight from Dar to the Selous Mtemere airstrip. Pick up from the airstrip by the lodge. In the afternoon sharing boat Safari on the majestic Rufiji River. One can see plenty of hippos, crocodiles and bird life is prolific. 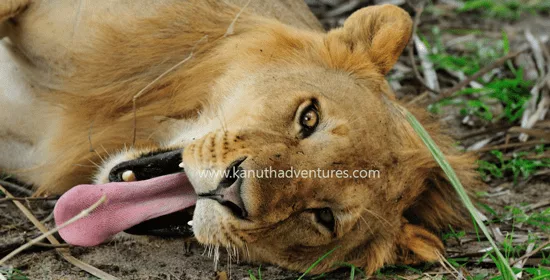 After breakfast full day game drive in the Selous game reserve, which is rich in wildlife: buffalo, lion, elephant, zebra, giraffe, impala, warthog, hippos and crocodiles. After breakfast, a morning wilderness walking safari, one of the most exciting experiences in Tanzania, accompanied by armed rangers. Back to the camp for your flight to Zanzibar or Dar es Salaam.